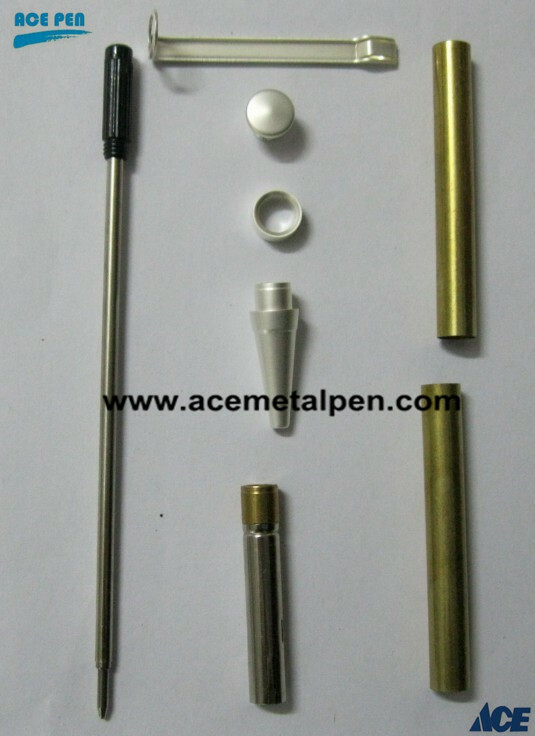 ﻿ 7mm Slimline Pen Kits in satin silver finish. Home > Product > Pen Kits > ◆Pen Kits > 7mm Slimline Pen Kits in satin silver finish. Each components is individually bagged and then combined in a single zipper bag and sold as a kit, One kit per opp/bag and then 400 to 500sets/CTN. Anyway,we can do the package per your request. Mass production time:20-30days after receive your PO with deposit for MOQ, the more depend on your order quantity.